Hi, it’s themplate is really amazing and i’m usuing on my blog, but i need ask you why the buttons from facebook and others doesn’t appear, just a white space. Please write me a answer. 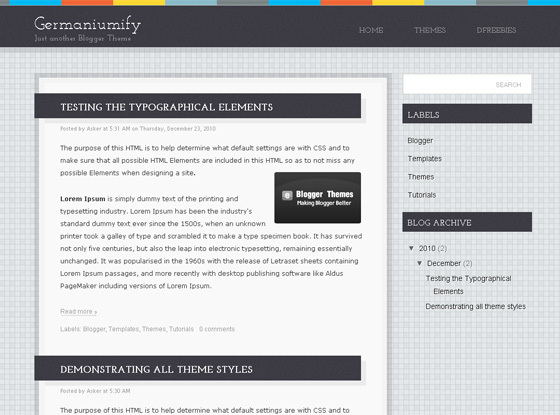 Really awesome theme But I am searching for theme looking much similar to WordPress themes. Thanks for the awesome template! Using it! thank you for this theme it really looks clean only problem was that my previous blog template had *pages* as well as blog posts. is there any way to incorporate pages to this template?